While Modi’s speeches are not as effective as in 2014, the Opposition, too, has not provided a solid alternative. Hence, new political formations may take place after the final verdict. Behram Contractor, alias Busybee, a trendsetter editor and popular columnist from Bombay (not Mumbai) used to express his random thoughts and observations (all his own work!) every weekend. This week, I will try to emulate him and pen down some of my own thoughts, observations and calculations ahead of this election. All my own work! This election lacks enthusiasm compared with 2014, 1989, 1977 or any ‘popular’ election in India. Don’t go by the media coverage. Reporters have to report a certain way due to their journalistic, financial and political interests. Party workers or voters are not as enthused as 2014. Probably, this is because the Opposition has not provided a solid alternative to the incumbent government or voters have already decided on their vote. The election campaign is just a ritual for them. In my assessment, voting will be lower than 2014. I have not experienced any ‘wave’ in this election. Bharatiya Janata Party (BJP) leaders claim there is a silent Narendra Modi wave, but that’s part of their propaganda. Modi is still popular, but not as much as 2014. Congress president Rahul Gandhi has improved considerably, but cannot overtake Modi. Modi surpasses every leader when it comes to campaigning. His energy is unparalleled. He addresses two to three meetings every day. But his speeches are not as effective as in 2014. He is repetitive. His speeches are shriller than before, trying too hard to inspire the crowd. If you visit Southern India, people are not interested in Modi or BJP, except in Karnataka. Tamil Nadu, Kerala, Andhra Pradesh and Telangana don’t need him or his party. There are 124 seats in this region. Last time, BJP won 17 out of 28 seats in Karnataka, but today it is facing a formidable challenge from Congress-Janata Dal-Secular alliance. BJP’s tally may come down in this part of India. In eastern India, Modi’s BJP has made inroads in the past five years. But Trinamool Congress’s Mamata Banerjee is holding on to her bastion of West Bengal and Biju Janata Dal’s Naveen Patnaik is fighting fit after 29 years of incumbency. In Assam, BJP faces repercussions of the Citizen’s Bill and could face a backlash. There re 77 Lok Sabha seats come from this region. BJP had tried hard to break Congress and regional parties in the North-East. But the public agitation against the Citizen’s Bill has made BJP jittery. No Modi wave here. Jammu and Kashmir is giving sleepless nights to Modi’s party. Jammu is BJP’s stronghold, but in other regions, they have failed to address people’s resentment. This is the worst time for Kashmiris. For them, Modi has broken his promise. Six seats are from J&K. Modi and BJP’s biggest fortress is Northern India. In 2014, most of the seats in BJP’s historic majority (282) came from this belt. As many as 222 seats fall in the cow belt, of which BJP had bagged 176 seats. The party could face losses in the largest state of India, Uttar Pradesh. The Samajwadi Party- Bahujan Samaj Party-Rashtriya Lok Dal alliance has posed a serious threat to Modi and Chief Minister Adityanath. BJP had pocketed 71 out of 80 seats in 2014. Political pundits predict that this time BJP’s sets may go down by 35-40. Modi’s popularity is intact in this state. But index of Opposition unity has countered Modi wave. 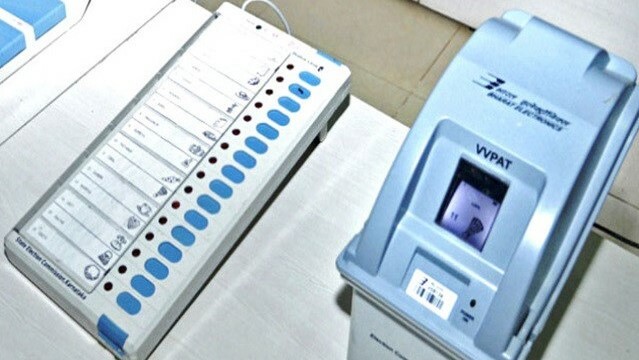 Congress had decisively won Madhya Pradesh, Rajasthan, Chhattisgarh Assembly elections in December 2018. Whether it can repeat its success in the Lok Sabha polls remains to be seen. In the 2014 Lok Sabha polls, BJP had won 62 of 65 seats in these three states. Psephologists had predicted this may come down to 40 in LS election as per Assembly figures. But surveys show a gloomy picture for Congress. Of course, there is no trace of a Modi wave. In Punjab, Congress party’s Amarinder Singh is in full control. Western India stood solidly by Modi last time. Maharashtra, Gujarat, Goa has 76 seats, of which BJP had conquered 69 seats in 2014. In spite of the fact that their seats are bound to go down, BJP may protect 60% of the seats as the local Congress machinery and leaders lack enthusiasm. In fact, in Vidarbha region of Maharashtra, anger against Modi Sarkar is at its peak. This is the region where most of the farmer suicides took place in last five years. People feel cheated by Modi as he had conducted ‘Chai pe Charcha’ with farmers in 2014 and promised heaven. But the Opposition’s success depends upon their unity and campaign. In Delhi, BJP can win all seven seats because of the division in votes between Aam Aadmi Party and Congress. As per Prannoy Roy’s new book ‘The Verdict’, women voters will surpass men in this election. In 1962, there was a 20% gap between men and women, but in the recent Assembly elections, women had 71% turnout against 70% men. No political party can afford to ignore women now. In the final analysis, BJP may lose its majority and come down to 220-225 seats. Modi would need support from allies and regional parties in this situation, which makes him weak and vulnerable. New political formations will take place after the final verdict on May 23. Regional leaders will play a major role in both ruling and Opposition dispensations. It will be better for federal structure of India if balanced well. The Election Commission of India has played a shockingly shady role in this election. The Model Code of Conduct was not enforced properly. Modi and his party took advantage of it and pushed illegal or immoral Namo TV. Modi blatantly used Pulwama- Balakot in his campaign and appealed people to vote for Army’s sacrifice. No Prime Minister in the history of this country has stooped to this level. But the Election Commission failed to control him. This is the biggest dent in the EC’s credibility since 1952. Electronic and social media remains powerful this season than print. As far as innovation and technology is concerned, we have moved a step ahead of 2014 election. These predictions and calculations can go totally wrong if India votes like 2004. Every survey had predicted a thumping victory for Atal Bihari Vajpayee and his ‘India Shining’ campaign, but the all-powerful voters turned the tables upside down. I hope for such a result, which will protect the secular fabric of India. Megalomaniacs and autocrats don’t deserve a second chance. Let us cross our fingers and pray for Indian democracy.